Investors now have another opportunity to be part of a major growth industry. The future of agriculture lies with increased mechanization and robotics. It has allowed greater efficiency and cost savings across the sector. Farmers from around the world are seriously making robots part of their business plan and daily operation. In parts of the world where land and labor are expensive, there is a definite need to increase productivity and to develop higher value crops. Robotics in agriculture are becoming an increasing part of this equation in the technologically advanced parts of the globe. Travelers abroad are progressively discovering the use of such devices as becoming more commonplace. The movement towards robotics, will gradually disperse into the developing parts of the world in the years ahead. Global population is expected to reach 9 billion by 2050. Therefore the production of agriculture will need to double by that time. Not only will this be in food alone, but in bio-energy needs as well. Given the present constraints of available land, water, and labor resources new technologies being employed is paramount. Efficiency in the production of food will need to increase by at least 25% in order to keep up with future demand. There will also be an increasing need to minimize the damage done to the environment as the production of food is ratcheting up. There is also the hope that it will lead to a substantial reduction in the use of pesticides. The old practice that claimed the degradation of the land was the only way to increase production dramatically will not be sustainable. In the United Kingdom scientists are working to program robots with the same algorithms as sheep dogs. The devices would accomplish the two tasks that are now the responsibility of well trained canines. These are forcing the animals into a tighter group and then propelling them forward. (Mechanized devices are already used in the shearing of the sheep). This same technology could have other applications as well. These would include crowd control and a variety of governmental tasks including even environmental disasters. Modifications could be implemented with the technology to clean up oil spills for example. In shepherding a major cost of the operation can be the sheep dogs themselves. If a farmer needs to acquire a dog for every 50 animals there is a definite cost savings to consider. A well trained sheep dog can sell for in excess of $15,000 USD (United States Dollar). This is the equivalent of 9,000 British pounds or 11,000 Euros. Robots could also have applications in emergency situations. They could provide assistance during chemical spills, fires, riots, and other occasions when there is a need for crowd control. 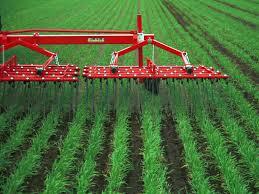 Many people don’t realize how mechanized agribusiness has become already. There is an increasing use of equipment known as Farmbots that are replacing expensive large scale machinery. This is true not only at large corporate enterprises but on family run and individual farms as well. The use of robotics can replace many of the mundane and often backbreaking work in various sectors of farming and animal husbandry. It will allow the completion of tasks that have not been possible with standard farm machines. In the Netherlands the newest machines in this sector rely on hovering cameras to tell Dutch farmers which tomato plants need a dose of pesticides. This has in turn cut the use of chemicals for this purpose by 85%. It helps the environment as well as providing cost savings. Already in use are such devices as a Lettuce Bot that is capable of removing surrounding weeds from plants. In the vineyards of France one can already see Wine Bots that are used in the pruning of vines. Nursery Bots can replace the menial task of moving potted plants from one area to another. Once you input the present location of an individual plant on a touchscreen grid you can direct the robot to use various sensors to pick these designated plants to be moved to a new placement. 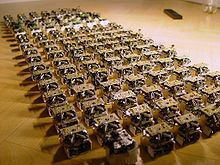 A more interesting type of device is the Bee Bot created by engineers in the United States from labs at the University of Harvard. It claims to be the smallest flying robot ever made. It purports to assist with pollination and the monitoring of the bees themselves as well as the production of honey. In the United Kingdom researchers there, are working on an autonomous bee. The effort is to map the brain of a honeybee so bee behavior can be completely synthesized. This will assist in keeping the world’s food chain intact. Under development are new robots that will be able to monitor crops and animals. This would include checking for patterns of growth and disease. In the crop fields this is known as the Hamster Bot. Using wi-fi technology the machine can navigate crops without harming them, even over uneven terrain. The device is designed to collect information on soil composition, temperature, moisture and general health of the plants to be sent back to the farmer. 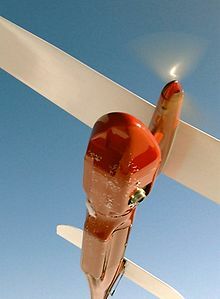 Other technologies will allow drones to provide a variety of tasks. In the United States there are tests taking place that will permit surveillance and the possible herding of animals in the future. In Japan these robots in the air are already employed in the spraying of crops. In South America these airborne devices are being used on large ranches and farms. They are particularly helpful on sizable operations that cover hundreds or even thousands of acres. In dairy farming automated milking machines that have robotic features are becoming quite common. It not only permits the milking of cows at the optimum time for individual animals but speeds up the process substantially. The cows themselves can be moved into position at the correct moment. Not only does it offer cost savings in labor but improves yields. The dairy farmer is simply alerted if a cow needs individual human attention. In the Netherlands, milk production has increased by 10 to 15% per cow on farms where robots are used extensively. It permits more animals that can be raised on an individual dairy farm as well as reducing wasted feed. It also permits such activities as having animal dung removed quickly and effectively with a underground moving conveyor belt. Farmers of fruits and vegetables are already employing devices that are providing GPS for the mapping of crops and trees. This process provides needed data so problems can be dealt with before issues impede rates of production. In this way farmers can maximize output. 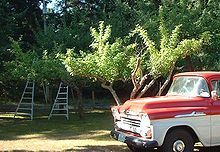 In many orchards in the developed world a number of farmers have become increasingly dependent on robotic automation for such mundane tasks as pruning, thinning and harvesting. They have also become reliant on advanced machinery for mowing, spraying and weed removal. This is especially important in an industry where labor can be the largest cost in the production process. An example of this can be clearly seen in the harvesting of fruit. Agricultural workers riding robotic platforms are twice as efficient as individuals who simply use ladders. Some aspects of the field are still in development stage and there is a need for more funding. There are many engineers in the field that are predicting widespread use of robots in farming well before 2050. There is also the consideration that the use of robots in agriculture and ranching will reduce the need for seasonal and regular workers in the business at large. This may not be as beneficial to countries that employ large numbers of people in the food industry. In ranching, robotic automation can accomplish tasks that include such varied applications that include washing, monitoring health, birthing and even castration. In the United Kingdom the government has begun to foster further development of technology in agriculture. For this year a total of $265 million USD (160 million pounds), (200 million Euros) are being allocated for the sector. Over $100 million USD is being earmarked for the commercialization of new agricultural technologies. Money is also being used to set up centers for innovation that will develop new farm technology. There is to be special emphasis on the evolution of products that can be easily exported. There are some limitations for this technology at present. One is cost. In Australia for example, a Robotic Rover or Herder Bot is designed to keep cows in line. The rover uses 2D and 3D sensors as well as global positioning to herd the cows in the direction needed. The device moves at the normal speed of a cow. The cost of one of them is 1 million Australian dollars ($934,000 USD). A self propelled robot employed in French vineyards known as the Wall-Ye costs roughly $32,000 USD (19,000 British pounds), (24,000 Euros). The price in this case is more reasonable if you consider the savings in labor intensive activities. On a typical dairy farm one can expect to invest hundreds of thousands of dollars USD, to acquire the bots needed to streamline operations. Of course as time progresses and more farmers invest in these products, retail costs will be dramatically reduced.